Doyle Boston Sails along with Nonsuch specialist Ed Botterell have spent countless hours refining both the designs and construction techniques for the entire range of Nonsuch sail boats. All of our Nonsuch sails are computer designed and cut here in Point Edward. 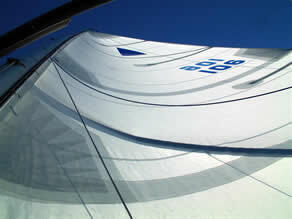 We use only the best fabrics and hardware to ensure the best possible sails are delivered to you the customer.